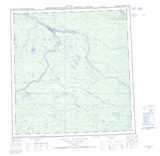 Nahanni topo maps are available at 1:250,000 and 1:50,000 scale. © Department of Natural Resources Canada. All rights reserved. NTS Region 095 is located in Northwest Territories. 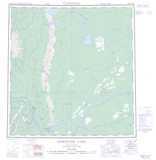 You can zoom in on NTS 095 by clicking on the individual 1:250,000 scale maps above, or navigating through the map of the Nahanni region below. 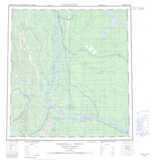 To make the best use of this website and the Nahanni topo maps on this page, you may want to learn more about the National Topographic System of Canada (NTS) and its topo maps. Copyright © 2009-2010 Yellow Maps. All rights reserved.